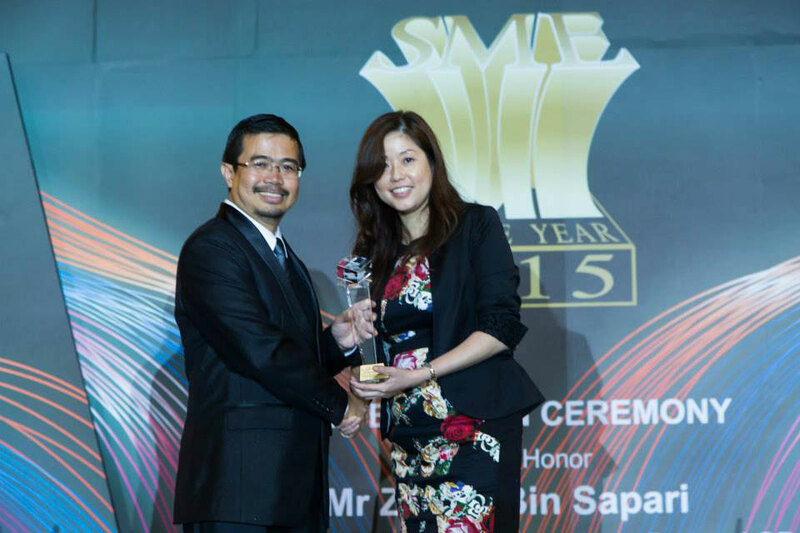 Singapore, 16 June 2015 – PacificLight Energy Pte Ltd (PacificLight) is delighted to announce that it has received two awards, the SME of the Year Award and The Revolutionary Award, in recognition of outstanding customer service and entrepreneurship. The awards were presented to Ms Geraldine Tan, General Manager, Retail, at a ceremony held on 16th June 2015 at Marina Bay Sands. Guest-of-Honour at the ceremony was Mr Zanial Sapari, Member of Parliament for Pasir Ris-Punggol GRC. The SME of the Year award was conferred following nominations from customers who believed that the exemplary level of customer service PacificLight had provided should be publicly acknowledged. The SME of the Year award recognises small-to-medium sized businesses (SMEs) who demonstrate outstanding performance, display exemplary entrepreneurship and contribute significantly to society through their business operations. In addition to the SME of the Year Award, PacificLight also received The Revolutionary Award accorded to companies who display creativity and originality in their business operations and distinguish themselves within their market through continuous process improvement and unique products and services. Mr. Yu Tat Ming, CEO of PacificLight, said, “PacificLight is honoured to receive these two awards in recognition of our customer service and entrepreneurship. Focussing on delivering value and first class service to our customers is one of our company’s core values. This award provides clear affirmation that we are on the right track with our customer-centric approach and will encourage us to continue to look for additional improvements to our service and products. Our ambition is to become the leading electricity retailer in Singapore by ensuring that our customers obtain competitively priced electricity and un-paralled service that meets their unique needs,” he said. In addition to the two recent awards, PacificLight has also obtained a number of other accolades since commencing commercial operation in 2014, including the Asian Gas Power Plant of the Year 2014 award, the BCA Greenmark Award and Singapore’s Outstanding Entrepreneur of the Year 2015.